Located at the far eastern end of the Santa Monica Mountain range, Griffith Park is the largest municipal park with urban wilderness in the United States with over 4300 acres of parkland to explore. With elevations ranging from 384’ to 1821’, the park’s trails offer a variety of hiking experiences from easy to strenuous, all within a few minutes of just about anywhere in the Los Angeles basin or San Fernando Valley. The majority of trails are on dirt fire roads making hiking very family friendly. But for the adventurous, it’s easy to find single-track trails crisscrossing the mountains that will take you into the most remote areas of the park, simulating a wilderness experience you would more likely find well outside an urban area. From the ridge lines and mountaintops you will be greeted with sweeping panoramic views of downtown Los Angeles, the Pacific Ocean and the San Gabriel and Santa Susana Mountains. On a clear day, you can see all the way to Catalina Island from Mt. Hollywood and Cahuenga Peak. Despite being surrounded by the 101 highway to the west and south, I-5 to the east and the 134 to the north, Griffith Park is a diverse “island” eco-system supporting numerous plant and animal species. It is not uncommon for visitors to spot coyotes, mule deer, racoons, rabbits, skunks and, on occasion, bob cats and foxes. In February of 2012, a mountain lion managed to cross both the 405 and 101 highways to reach the park from the western Santa Monica Mountains. Dubbed P-22 (Puma 22), this 4 year-old male lion now resides mainly in the back country around Cahuenga Peak and the Forest Lawn Cemetery. Though no encounters with hikers have been verified, visitors are cautioned to keep an alert eye, especially in the early morning and late afternoon hours when the cat is more likely to be in search of prey. Hikers venturing off the fire roads onto the single-track trails where rock scrambling may be necessary are also advised to look before placing their hands as Griffith Park is also home to the venomous Western Diamond Back Rattlesnake. 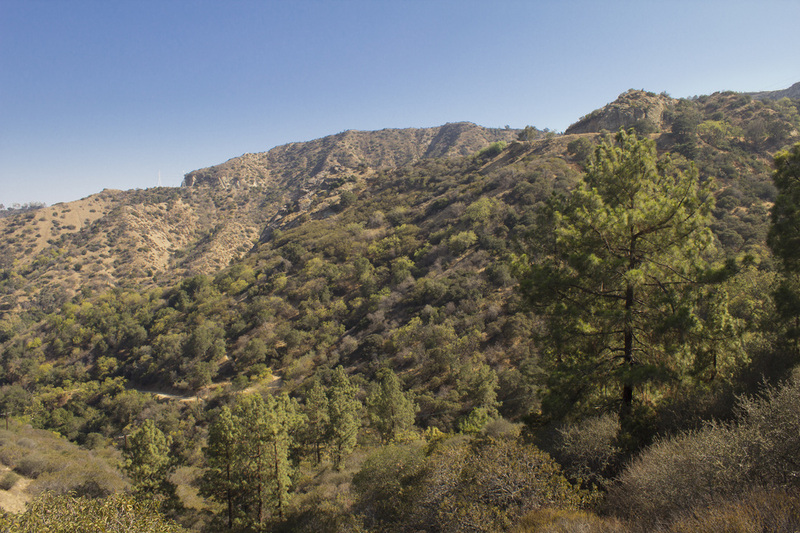 Though the park's ridge lines and mountain tops are mostly bare save for the ubiquitous California chaparral, the lower slopes and inner canyons are more densely covered with oak, walnut, mahogany, pine and eucalyptus trees providing hiker’s with suitable shade from the southern California sun. There are two user-cultivated gardens within the park, both of which provide picnic areas and water fountains and can be reached from relatively short hikes from their respective parking areas. The first is Dante’s View, located just below the summit of Mt. Hollywood; the second is Amir’s Garden, located in the Mineral Wells Spring area of the park. Also of note is a small grove of one of the rarest plants in the United States, the Nevin’s Barberry (Berberis nevinii), found on the northern slope of the Toyon Landfill. Whether planted or naturally occurring is not known, but the short side trek to this unique bit of flora may prove interesting to the botanist hiker. 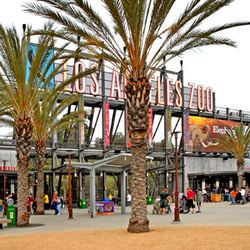 Developed areas of the park include the Griffith Observatory, Travel Town Train Museum, the Autry National Center, Los Angeles Zoo, Carousel and Pony Rides. 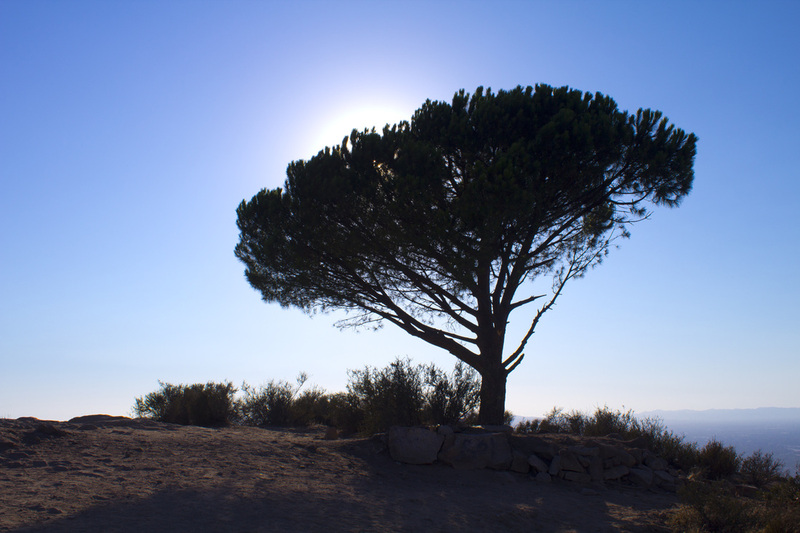 Griffith Park is decidedly one of the crown jewels of Los Angeles, providing visitors with exciting cultural, educational and back country wilderness experiences all within a stone’s throw of the glitz and glamour of Tinseltown. 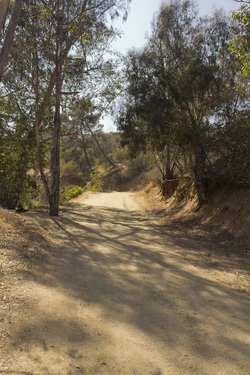 GRIFFITH PARK TRAILS - Click the green buttons below for hike details. 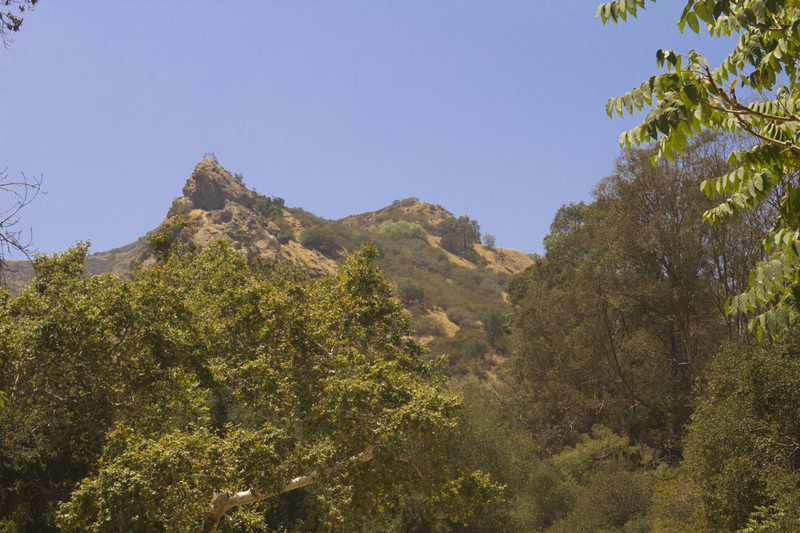 Until recently, this 1625' peak was the tallest point in Griffith Park. 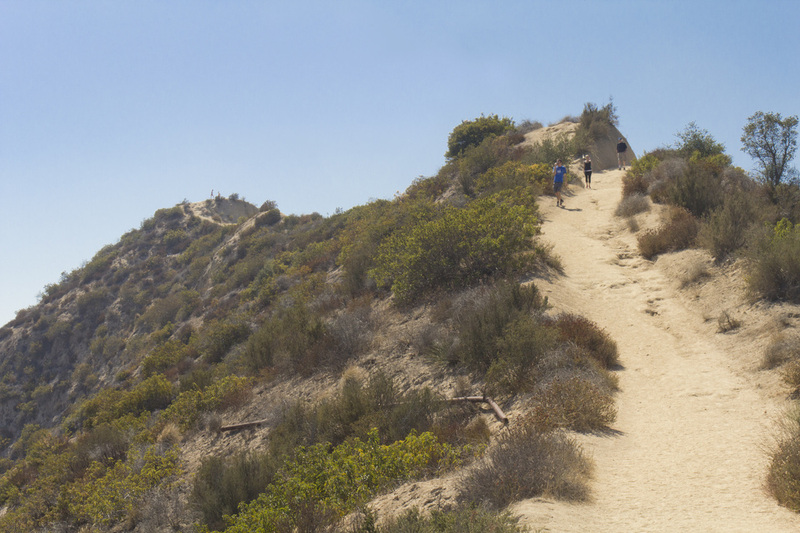 Cahuenga Peak now holds that distinction, but easy access and sweeping views makes Mt. 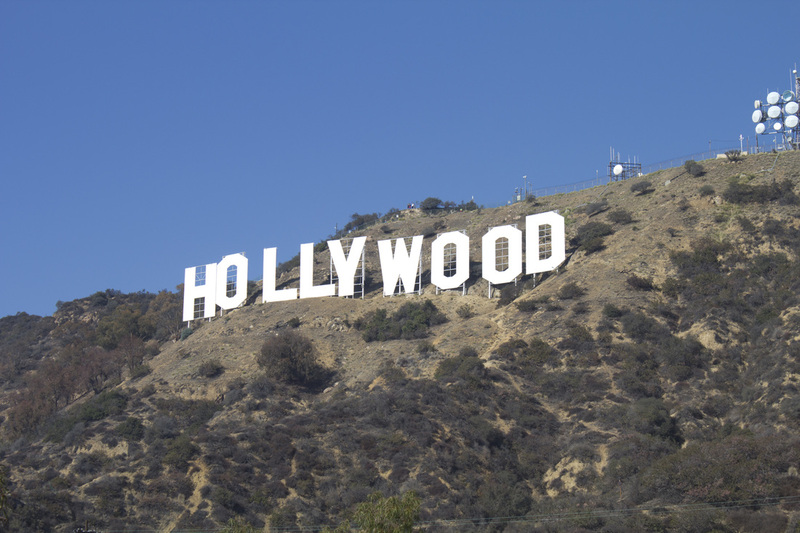 Hollywood the most visited peak in the park. While most hikers approach the summit from the observatory and the Charlie Turner Trail, this particular hike begins near the pony rides on Crystal Springs Dr. for a more challenging and scenic ascent. 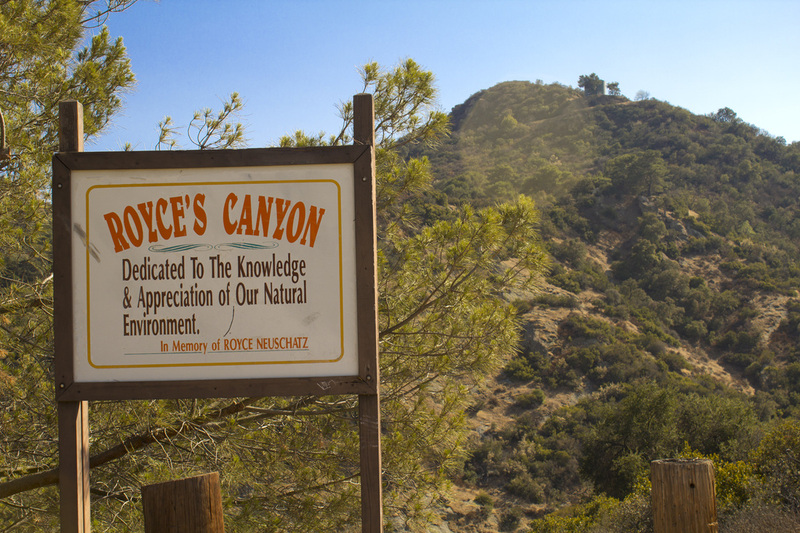 The Royce Canyon Trail follows Mt. Hollywood Drive as it winds its way through the back canyons of the park to intersect with Vista Del Valle Drive near the ridgeline. Closed to vehicular traffic this paved road is excellent for families with small children or parents with strollers who want to experience a little solitude. The ascent is a moderate, but steady incline with several extended flat sections. 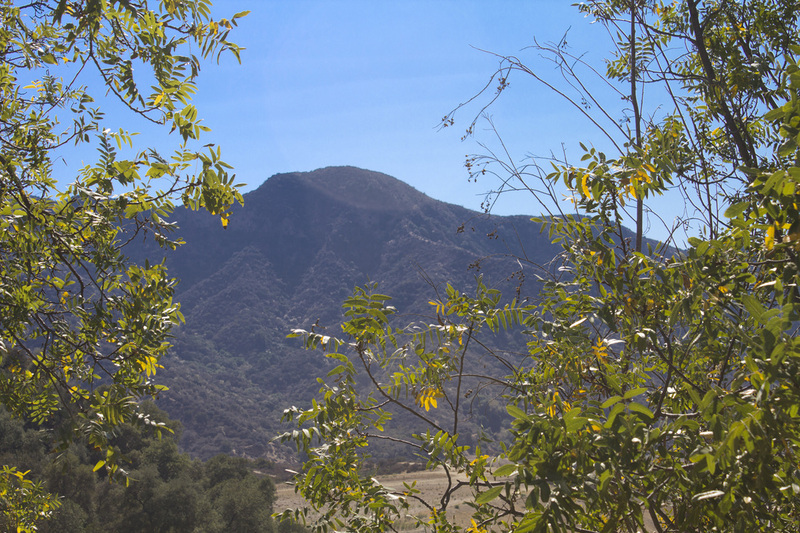 This is a little used area of the park with spectacular views of the San Fernando Valley, Santa Susana and Verdugo Mountains. This short, but steep single-track trail leads you to the high promontory of honeycombed sandstone overlooking the Old Zoo. Known as Bee Rock, this outcropping of stone has been a favorite of park visitors for years. While you can walk out onto the rock, you are protected from plunging off the sheer cliffs by a high chain link fence. There are several routes to the top, but this one is the most direct. This is long, looping trail encompasses dirt fire road, paved road and single-track trail. There are three water fountains along the way as well as several scenic vistas and a cultivated garden. The initial ascent is very steep, but gives way to a more moderate climb. The descent on single-track trail is an easy moderate. A favorite of park hikers, this trail is also used by trail runners for it's power-building ascent and thrilling downhill dash. A short, but very steep climb from Mineral Well Springs picnic area brings you to the 5-acre wonder of Amir's Garden. 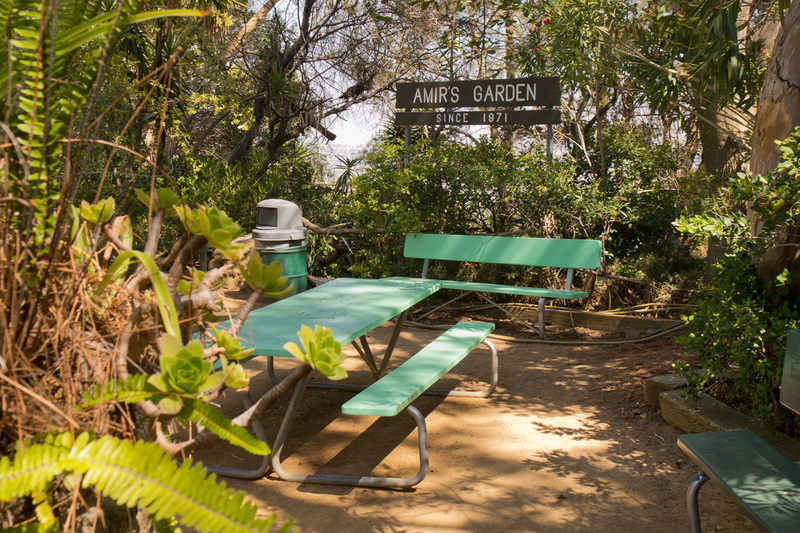 Begun in 1971 by Amir Dialameh and maintained today by volunteers, the garden features winding pathways, picnic tables, water fountains and shaded rest areas for hikers and equestrians. A destination in itself, the garden can also be a jumping off point to explore deeper recesses of the park. This is a long, rugged and at times challenging trail to the iconic lone pine overlooking the Cahuenga Pass and the 101 Highway. This trail will take you through the back country of Royce's Canyon, around Mt. Bell, across the ridgeline to Mt. Lee and the Hollywood Sign (Puma 22's territory), across Cahuenga Peak (Griffith Park's highest point) and down to the Lonesome Pine. Sure, there's a much shorter, more direct trail, but if getting there is half the fun then this is the trail to take! Click the full frame icon in the upper right corner for a larger map in a separate window. 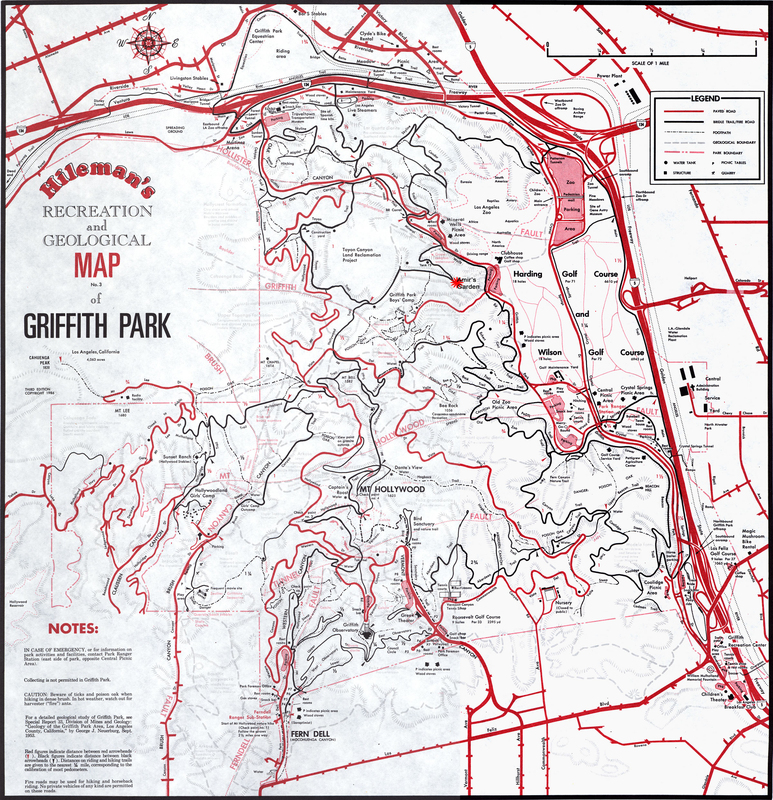 Click the link to the left to download a map of Griffith Park featuring trails, roads and landmarks throughout this urban wilderness.